Greater Boston Convention & Visitors Bureau (GBCVB) President & CEO Patrick B. Moscaritolo was inducted into the Massachusetts Restaurant Association (MRA) Hall of Fame on October 23, 2018. Moscaritolo is the first Boston CVB CEO to be inducted into the Mass. Restaurant Association Hall of Fame. Besides Moscaritolo, other inductees included Nancy Matheson-Burns, President & CEO of Dole & Bailey, a full-service supplier of local, sustainable products; Ron Emma, Owner/operator of three Emma’s Pub & Pizza locations in southeastern MA and a wholesale pizza business; and Judy Herrell, Owner/operator of the iconic Herrell’s Ice Cream in Northampton. The MRA holds its Hall of Fame dinner every two years to recognize leaders who have left lasting impacts on the MA hospitality industry. 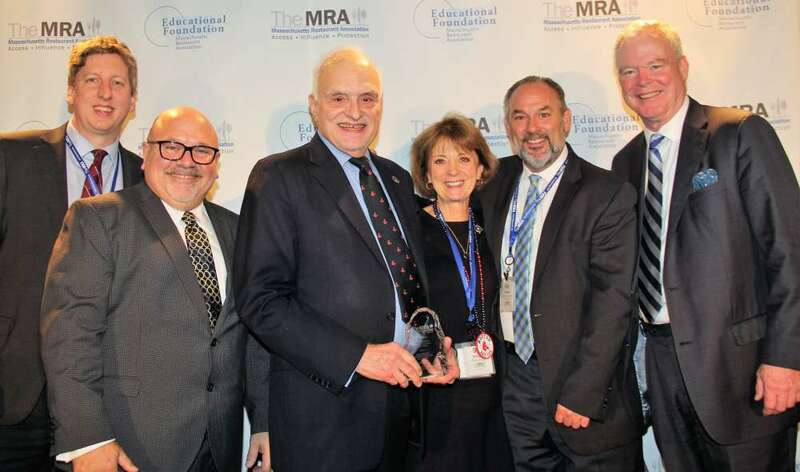 In order to make the MRA Hall of Fame, individuals must be outstanding corporate citizens who have demonstrated, over a prolonged period, results that benefit the restaurant and hospitality community. Moscaritolo has also been inducted into the Mass. Lodging Association Hall of Fame and was the recipient of World Boston’s International Citizen award along with former Mass. Governor William Weld. During his career as CEO at the Boston CVB and prior to that as Director of Boston’s Logan Airport, Moscaritolo has been singled out for awards by both private and public organizations for his leadership and accomplishments including being selected by the Boston Business Journal as one of the top 100 leaders in Boston, by Yankee Magazine as the New England Travel Person of the Year, and by the MA visitor industry as the Executive of the Year.